I started with one of those squishy or smooshy manicures as a base. I used a stamper to add random pastel colors to the nail. 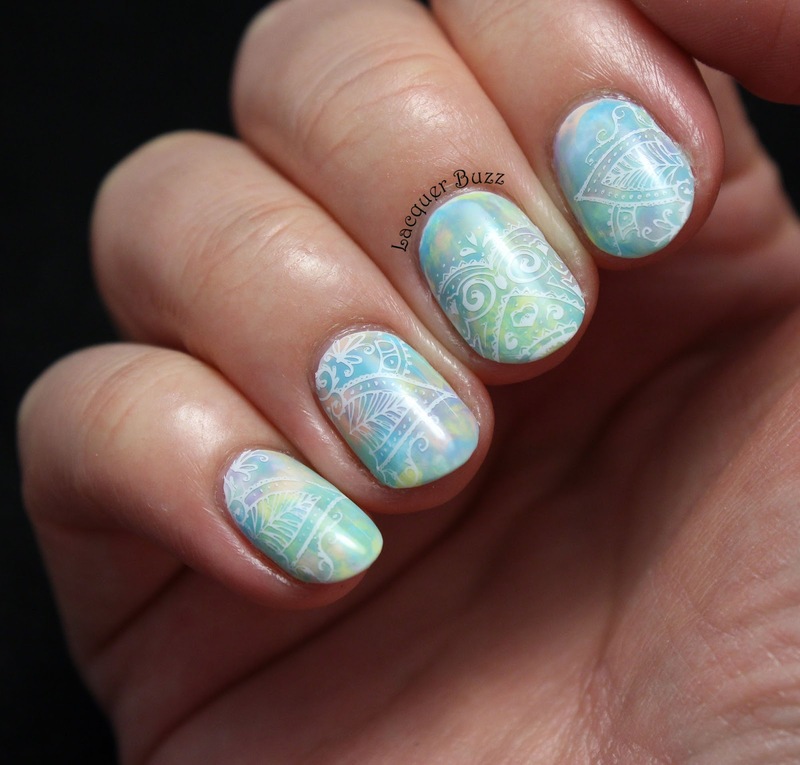 I used the following colors: China Glaze Lemon Fizz (yellow), Essie A Crewed Interest (peach), Flormar WL04 (lilac), Sephora by OPI Alex by the Books (mint) and Kiko 340 Light Blue (blue). I really liked how it turned out because the colors and the randomness reminded me of an impressionist painting. 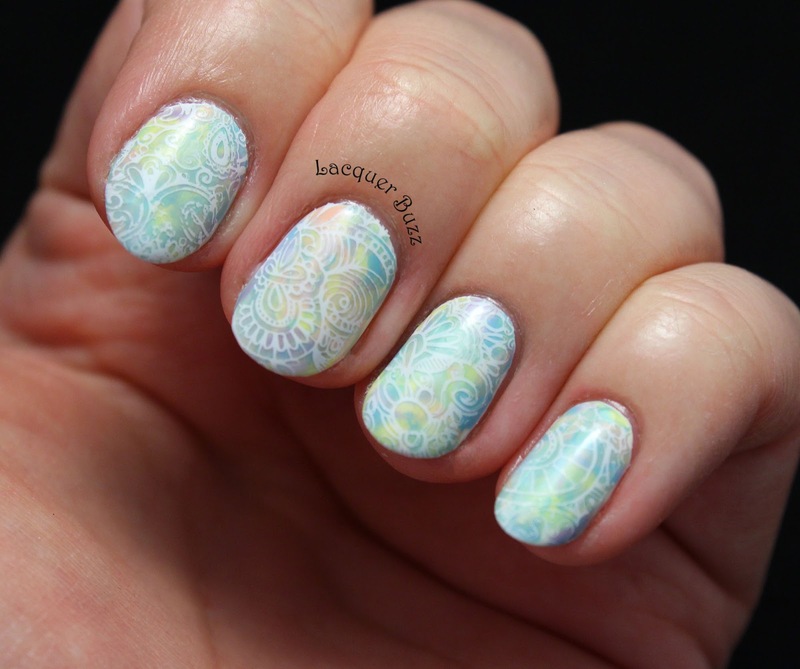 I then used images from Moyra plate 19 Maharaja and white stamping polish from the Born Pretty Store to stamp on top of the pastel base. I used two of the images from the plate to stamp the nails on my swatch hand and then used a different image from the plate for each nail on my Cinderella hand. 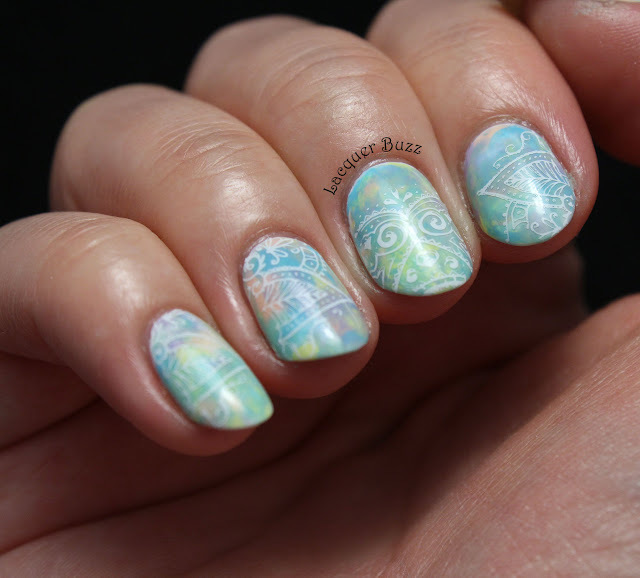 I used full nail images for that hand because my stamping skills aren't that great with my right hand. Excuse the awkward hand pose but my left hand doesn't really know how to pose. 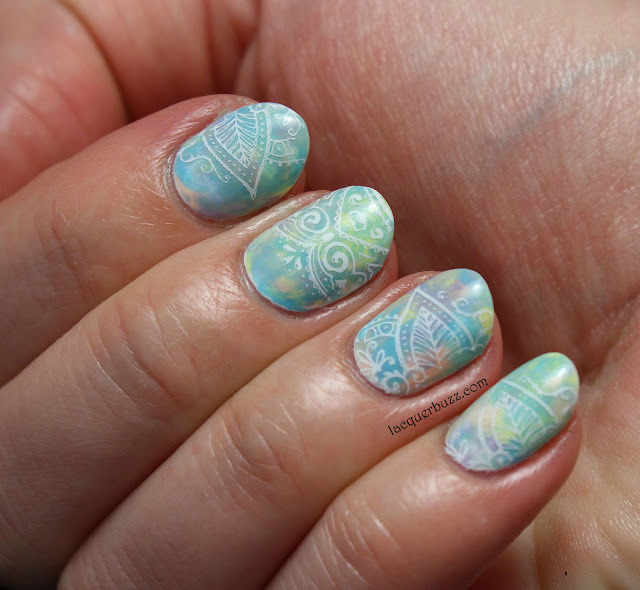 I loved the combo of the intricate oriental patterns and the pastel watercolor base. This was my manicure for Easter last week. Let me know what you think and I hope you have a very nice and relaxing weekend!